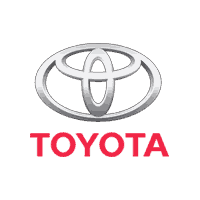 Plano, Texas, Jan. 9, 2019 – Toyota has announced a planned expansion of recalls affecting vehicles with Takata air bag inflators that may be defective, according to a recent press releasefrom the automaker. This recall has already involved millions of cars and trucks worldwide, across a broad spectrum of manufacturers and brands. Due to the immense number of vehicles affected and the unequal risk of defects causing harm to drivers, the process has been carried out in stages, determined by vehicle age and geography. This new round of affected vehicles includes both Toyota and Lexus models. The latest recall involves the following cars and trucks: 2010-2016 Toyota 4Runner, 2010-2013 Toyota Corolla, 2010-2013 Toyota Matrix, 2011-2014 Toyota Sienna, 2010-2015 Scion XB, 2010-2012 Lexus ES 350, 2010-2017 Lexus GX 460, 2010-2015 Lexus IS 250C, 2010-2015 Lexus IS 350C, 2010-2013 Lexus IS 250, 2010-2013 Lexus IS 350, 2010-2014 Lexus IS-F. These cars encompass 1.3 million units in the U.S. The problem with the Takata inflators is one of the most serious defects to be revealed in recent years. When the propellants used in the parts degrade in high heat, humidity and temperature cycling, activation may result in a rupture in the air bag inflator. Ruptured air bags can throw sharp metal fragments at the occupants of vehicles, injuring or even killing them. The danger from these potentially deadly air bags increases over time, which is why the Takata recall began with earlier cars. The National Highway Traffic Safety Association has been coordinating the cycles of recalls. In total, the department is targeting 37 million vehicles. The most dangerous type of Takata air bag, designated “alpha,” is found in vehicles older than those recently recalled by Toyota – owners of those cars were notified during the beginning of the recall. The waves of the Takata recall have been ongoing since 2015. Unlike other recalls that are determined based on laboratory testing or safety inspections, the air bag inflator fault was discovered after several deadly accidents involving the compromised parts. The recall began with the vehicles most likely to contain high-risk inflators, with waves of new announcements following every few months. According to Toyota, owners of the mentioned in the latest stage of the recall will receive letters in late January alerting them to the need to receive service for their vehicles. As with other stages of the Takata recall, the solution for the current round of air bag repairs involves replacing either the inflator or the whole airbag assembly, depending on the model of car in question. The modification will be carried out by Toyota and Lexus dealerships and repair work will be offered at no charge to drivers. The automaker noted that it has been working on outreach efforts to ensure as many motorists as possible realize they need to have their vehicles repaired. Through practices such as holding events and working with third-party organizations, Toyota and the other carmakers using Takata air bag inflators have been publicizing the recall for the past few years. The phone number for up-to-date service and recall information is 1-800-331-4331 for Toyota owners and 1-800-255-3987 for Lexus customers.